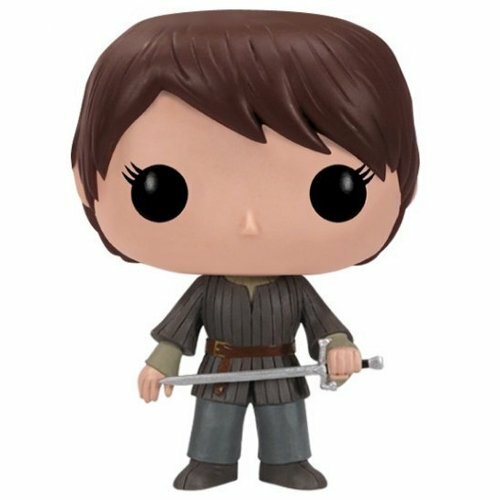 Are you interested in the Arya Stark pop (Game Of Thrones) Funko Pop figure ? Aya Stark is one of the main characters from "A Song Of Ice And Fire", the famous fantasy novels by George Martin and from Game Of Thrones, its TV adaptation. 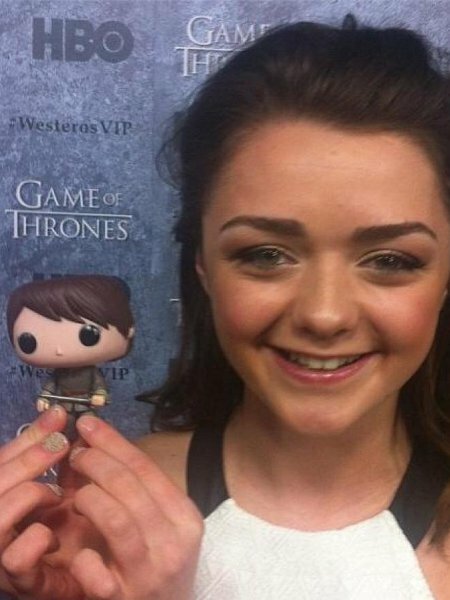 Aya Stark is the youngest daughter of Catelyn and Ned Stark, lord of the North and Winterfell. Contrary to her older sister Sansa, Arya doesn't really behave like a proper young lady. She's a lot more interested in swords than clothes and is also a lot less naive than her sister, which will help her survive in such a dangerous world. After the execution of her father, she manages to escape the Lannister guards thanks to Yoren from the Night's Watch. But he also gets killed before he can bring her back to his brothers in Winterfell. She will be taken prisoner several times after that but she will always manage to escape, not hesitating to kill in spite of her young age. After a time, she will finally manage to get free and finding herself incapable of joining her brother at Castle Black, she will decide to do the next best thing and go to Bravos to try and learn the trade of the faceless men. 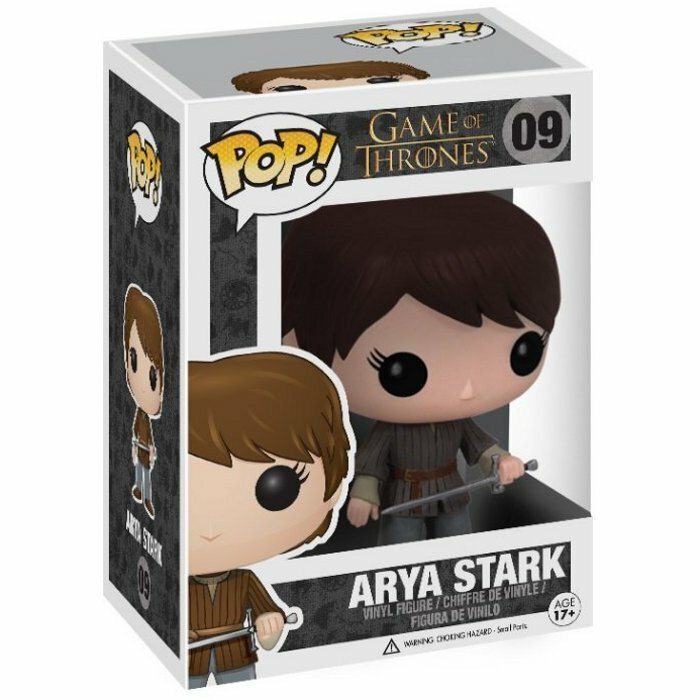 On the figure, Arya is portrayed with what she's wearing from the beginning of the season 2 and that won't change until she gets to Bravos in season five. When Yoren helps her leave King's Landing, he cuts her hair and gives her boy's clothing so that no one recognizes her. The clothes he gives her are the ones destined to the boys joining the Night's Watch and so are very modest. You can recognize the leather and metal tunique as well as the plain grey pants she's wearing with boots as well as her leather belt. Arya is portrayed with the very uneven short haircut she has when she's fleeing King's Landing. Somehow, it will grow back much prettily. 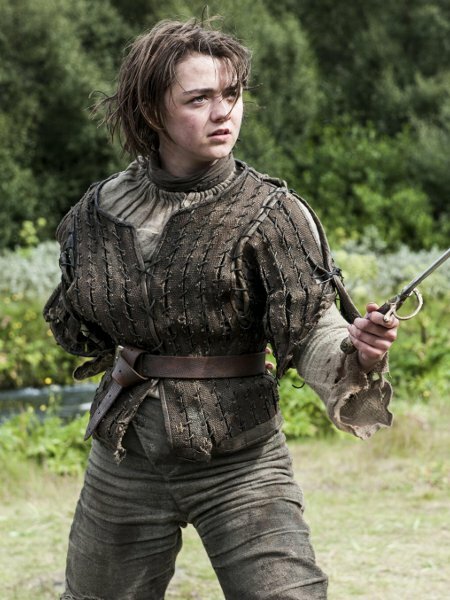 Arya is holding Needle, a fine Bravosi sword in her hands. It's been given to her by Jon Snow, the one she was closest to in her family.